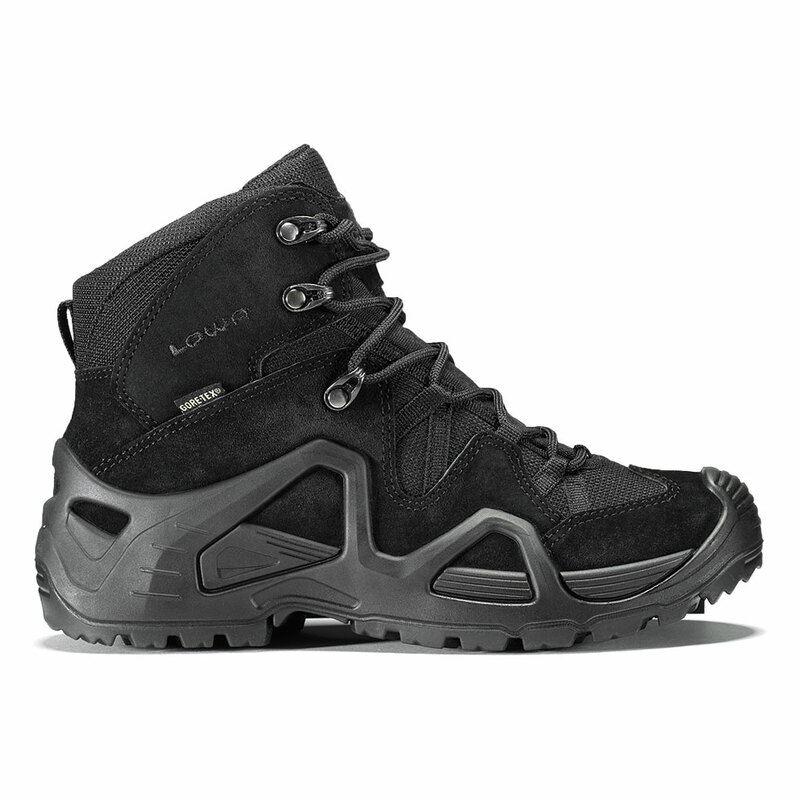 Zephyr GTX® Mid TF is a great 3 season hiking boot or a duty boot for service personnel. PU MONOWRAP® frame with comfortable underfoot PU midsole and LOWA Cross sole provide all day comfort. Durably waterproof/breathable. Made on a women’s-specific last. Please note: The photos of this boot in colors Desert and Coyote Op are incorrect. Please view the black color of this boot to see the correct design.